Can you please outline the vision behind TAO Connect? For many years, I was a psychologist at a very large US university mental health center and we constantly had more people seeking help than we could possibly accommodate. That is a ubiquitous problem across lots of sectors, including community mental health and private practice in any rural area. The US Health and Human Services reports that over 90 million people in the US alone live in underserved areas. Our goal, in creating TAO, was to get more services to more people who have little or no access to traditional psychotherapy and at the same time, make treatments more effective, understanding that we can’t hire our way out of our problems. Why don’t people always have access to traditional therapy sessions? Therapy is concentrated in large urban areas and there simply are not enough psychologists, professional counsellors and clinical social workers to meet the need. It is also expensive; it costs $100-$200 an hour and even if people have insurance, the copay can be prohibitive. People often do not have transport or childcare. They also do not feel they can go to their boss and ask for 1.5 hours off work every week for the next ten weeks to get effective treatment for their depression. They therefore just suffer and do not get help. We needed to find a way to deliver effective treatment that fits in with people's lifestyles. How long can waitlists be for traditional mental health therapy? That really depends on what sector you are talking about. In our counseling center, sometimes people would wait two weeks to get an intake. Then it would be another six weeks before they could start treatment. If you make a student wait eight weeks to begin treatment for depression, they are going to lose their entire semester; their grades will suffer and that can affect the entire trajectory of their future. Outside of that, I hear stories from primary care physicians and specialty care physicians who are treating people with conditions such as Parkinson's, COPD and other chronic health conditions and who are placed on a six-month waiting list consisting of 400 people. If somebody has a co-morbid behavioral health problem such as anxiety or depression, almost every other medical intervention for their COPD, Parkinson's or other medical condition is adversely impacted. People who are depressed have a hard time following through with other treatment recommendations such as medication, activities, and diet. Every aspect of their health is affected when they do not get effective treatment for their behavioral health problem. What were the main challenges with developing a platform to deliver online therapy sessions? It has been easier in other countries such as Australia, because here, we are hampered by state by state licensure and therapists only being able to provide services in the state in which they are licensed. You can't practice across state lines very easily. That limited us in terms of doing this in the way that they have in Australia, for instance. The other factor is development. We developed a first version of the anxiety treatment in TAO when I was still at university and our feedback from students was that this is helpful information, but it was boring. Nobody is going to do it if it is boring, so we went right back to the drawing board and tested different types of materials in different formats to increase engagement. That was our process for developing TAO as it exists today. We use actors in scenes, animation and more gamified interactions. We called it “edutainment” and that made a big difference. People are more likely to do it and persist with it, if they are interested and engaged. How do the online therapy sessions differ from traditional therapy? When you use TAO, one of the big differences is that most people use it in a stepped-care model. It can be used as self-help. If someone has a low-level problem such as mild anxiety or mild depression but also a lot of motivation and can handle doing it on their own, it can be used with minimal support. Somebody may simply need to touch base weekly with a case manager to keep them focused and on track. It can be used in what we call low intensity, high engagement, where the person has a 20-minute session with a therapist and then learns all the skills and uses all the tools online. It can be used as an adjunct to traditional face-to-face therapy, with homework in between sessions. It can be used to help bridge someone from intensive outpatient or inpatient care to after care once they have been discharged. It can be used in a lot of different ways and at a lot of levels in a stepped-care model. Are the online sessions effective? How much evidence do you have? There are two progress measures embedded in TAO. People can choose between the two, but they are both reliable, valid, well researched instruments that track change over time. The client or patient completes one every week and there is a dashboard displaying week by week progress. TAO also includes an administrative dashboard that displays aggregate results for all of a clinics patients in TAO. We benchmark TAO results against published studies of effective therapies. We can look at the results for any clinic and any set or subset or group of patients, to compare effectiveness. We provide both evidence-based practice and practice-based evidence. At any moment, you can click a couple of buttons and see exactly how TAO is working for your client and your clinic, whether it be for an individual or for a population. What hurdles still need to be overcome to reduce mental health disparities further? So long as we are tied to the traditional model of weekly one-hour therapy, we will never meet the need. We need to think more expansively about all the tools that are available. In the digital age, we have more tools at our disposal than we have ever had before. There are more tools to study, more ways of intervening and more ways of connecting with people than before and I think that there is a lot of promise in terms of where we could go and what we could do to reduce mental health disparities. What do you think the future holds for mental health? I think it is exciting that all these things are being developed and tried. I think that the world has become more stressful, but at the same time, we have far more tools available to help us deal with that stress. One fear I have heard people express is that as we use digital tools, people will move away from human connection and relationships, however, I think that online tools are more of a mixed bag. We stay in touch with more people than we did in the days of writing letters and sending them through the mail. Human relationships are still very important. For example, my grandkids live in Colorado, which is a couple of time zones and 1,500 miles away, yet I still can talk to them, see them and interact with them weekly, which was not possible a generation ago. The single most important factor in therapeutic change is the relationship and I do not think that is going to change. Humans are pack dwelling animals, we need each other. I think that it is important to balance therapeutic relationships with using digital tools, that is where the future is. One thing we are most excited about is developing some of our tools that use artificial intelligence machine learning. Our first tool is called the “mind elevator.” A client enters a thought or feeling, hits submit and the tool evaluates that thought or feeling on a colorful scale that is like a big rainbow with sad and happy faces. The tool then provides a sentence of feedback and encourage the person to modify that thought or feeling to make it more positive, less self-critical or less negative or pessimistic. It also keeps track of several successive entries, so it responds to a whole chain of thoughts and feelings, not just the one that was most recently submitted. We built this using two million tweets and the accumulated narrative data in our TAO platform. It is great for helping people to change their cognitions. A person is bound to think more negatively if they are struggling with anxiety, depression or another behavioral health problems and we know that the more negatively a person thinks, the more likely that thinking is to get hard wired in and become the default mode of thinking. To change thinking for the long term, you have to build new neural pathways. The mind elevator coaches people to develop new neural pathways that are geared towards more helpful, productive and positive thinking. We find that people primarily use it between 10 pm and 6 am. It may be the case that no friends or therapists are available, but a person is finding they are stuck in a loop of negative, ruminative thinking. The mind elevator provides a readily available tool to actively work on challenging cognitive distortions. Our next artificial intelligence tool is based on our analysis of what all the factors are that lead to the best outcomes, under what circumstances and for which people. We are developing an intelligent messaging system that will send positive, encouraging notifications through our apps to the client advising them about what might be the best thing to try next based on how they responded to the last couple of things. 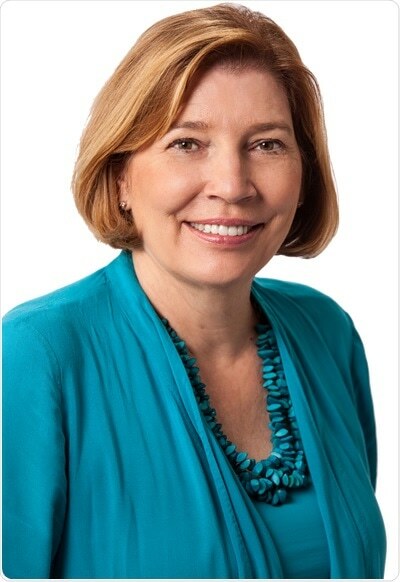 Dr. Sherry Benton, founder and Chief Science Officer of TAO Connect, is an esteemed psychologist in both research and practice, and has over 25 years’ of clinical and research experience in counseling psychology and college student mental health. Her experience as a Director in the college counseling world revealed a need for a more efficient and effective way to deliver mental health therapy. She saw students in need of treatment sit on a waitlist, and by the time they received services, they may have already lost their entire semester due to mental health problems. Sherry is Board Certified in Counseling Psychology by the American Board of Professional Psychology and she is a Fellow in the American Psychological Association. She served as President Emeritus of the American Academy of Counseling Psychology and President of the Association of Counseling Center Training Agencies. Dr. Benton has many professional publications and presentations, particularly related to college student mental health. The book Dr. Benton co-authored, “College Student Mental Health: Services and Strategies,” is published by the National Association of Student Personnel Administrators and regarded as an important resource in the college counseling arena.